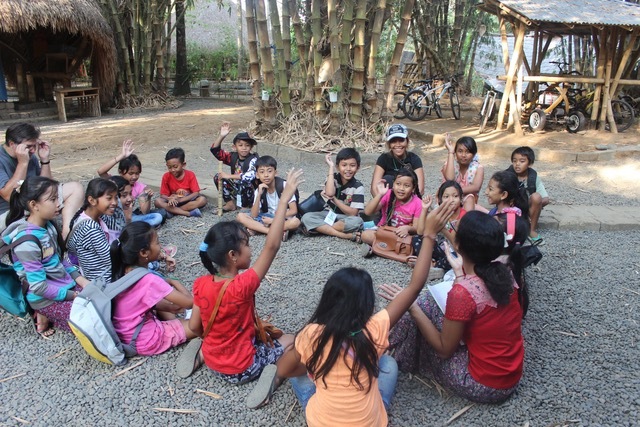 The Part-time Local Scholar Programme provides extra-curricular English language classes to local students on the Green School campus. Much more than just learning English, approximately 400 students per year in the Part-time Local Scholar Programme access abundant opportunities to engage as active participants in the community of learners at Green School through extra-curricular activities, sustainability initiatives, and social enterprises. 65 local schools now feed students into the Kul Kul Connection Part-time Local Scholar Programme. Participants pay for their course of learning with 5 kilograms of recyclable waste per semester, deposited at Kembali, Green School’s waste management facility. To date, 9 of these local schools have implemented their own waste management projects with the support of Kembali and Kul Kul Connection.